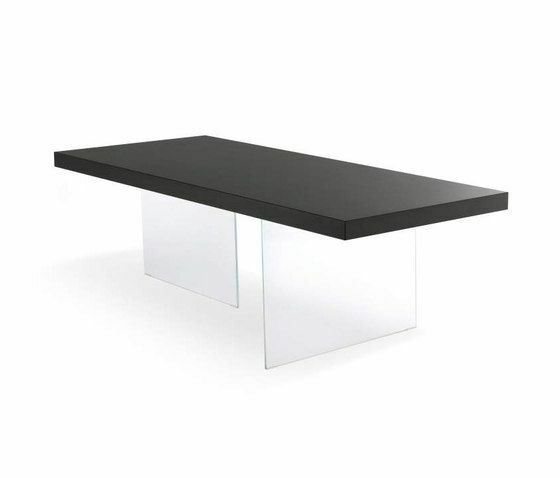 A table that inverts the order of the factors: extreme lightness in the weight-bearing structures, in transparent glass, and the full physicality of the top. The results in that the table seems to fluctuate in the air, almost as if suspended in space. This confers a new reading of the conception of space to the whole room, changing our perceptions of the relationship between full/empty and light/heavy. The table is created out of two perpendicolar plates that support the wooden top.